CIMB Classic returns to TPC Kuala Lumpur from Oct 12 to 15 as the second tournament of the 2017/18 PGA Tour with a more-than-tempting prize purse. As far as prize money goes, the CIMB Classic, with its US$7 million purse, is not a bad proposition. That is more money than the Sony Open in Hawaii (US$6 million), the Farmers at Torrey Pines (US$6.7 million), the Honda Classic (US$6.4 million) at Palm Beach and only a shade under the AT&T (US$7.2 million) at Pebble Beach — all of which are fixtures on the Tour calendar. And that is not bad at all, because the CIMB Classic, in its seventh year (the fourth offering Fedex Cup points), is the richest event in Southeast Asia on the Tour calendar and an essential stop for PGA professionals, who finish up in Kuala Lumpur and then return to Asia a fortnight later for the WGC-HSBC in Shanghai for another massive purse (US$9.75 million). Money of that magnitude is enough to persuade PGA and Fedex Cup winner Justin Thomas to come back for a tilt at back-to-back-to-back wins at the TPC Kuala Lumpur. 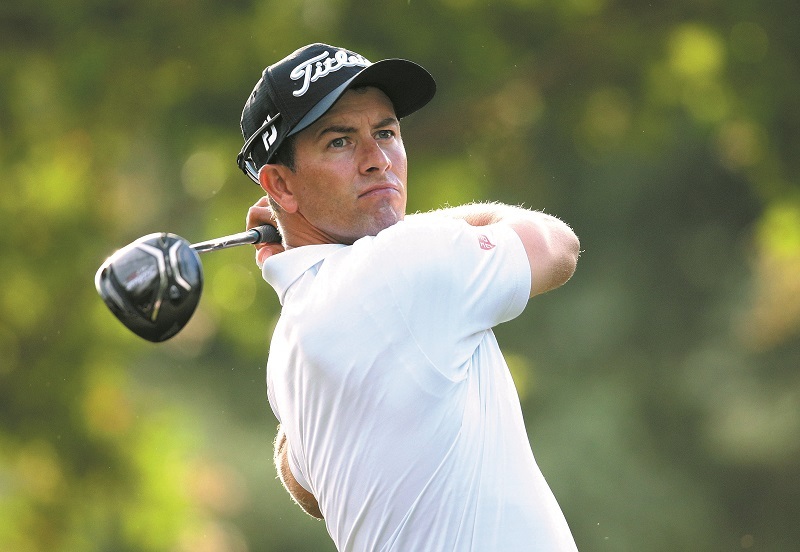 The CIMB Classic is also becoming a bit of a rarity on the calendar because TPC’s West Course has proved to be quite talismanic for players like Thomas, who after winning here in 2015 and 2016, went on to bag the SBS, Sony Open and the biggie, the PGA Championship, all of them this year, making 2017 his breakout year. Ditto for Ryan Moore, the TPC’s other two-time winner. After winning in 2013 and 2014, Moore followed that up with a win at the John Deere last year. Similar success also followed on from their debuts for players like Luke Donald, Adam Scott and Sergio Garcia, with the latter two going on to break their major ducks at Augusta at the Masters. Having first dibs at tomorrow’s stars has made sponsoring this event rewarding for CIMB. Not necessarily in money terms per se (how does one quantify branding, that most ephemeral of notions), but in terms of the cachet it offers CIMB in the region, where its aspirations lie. It is here that its clients are feted and dined. Choice flights with pros like Keegan Bradley, Ernie Els, Louis Oosthuizen, Charl Schwartzel and Padraig Harrington are offered, and where fierce Malaysian ambitions are demonstrated, thanks to the international broadcast coverage that splashes CIMB’s logos all over flatscreen TVs, iPads, smartphones and desktop monitors worldwide. The CIMB Classic is the bank’s marquee sport event and, after this year, when Malaysia ends its 18-year association with Formula One, also the country’s. It is a big burden for the bank to shoulder, especially after trudging through two slow years, in 2013 and 2014. Profit rebounded last year, but didn’t quite reach the heights of 2013, making the financial commitment to the tournament a constant exercise in self-analysis. For CIMB, sponsoring a PGA Tour event costs US$7 million a year, which covers a portion of the purse, TV commitments, PGA Tour fees and the cost of the tournament itself. Spread over the course of a 10-year commitment, that is a US$70 million investment in the game and, by default, the country. And while the purse has not expanded in value terms (thankfully for CIMB), the decline of the ringgit has made the tournament at least a third more costly to organise than in 2014. Whether by fate or by fortune, it is fortuitous for CIMB that the Tour has seen a remarkable resurgence in new and extravagantly talented young players. And thanks to players like Si Woo Kim (South Korea), Anirban Lahiri (India) and Hideki Matsuyama (Japan) to go with the Jordan Spieths, Rickie Fowlers, Jon Rahms and Xander Schauffeles of this world, there is finally a rich vein of Asian talent competing on equal terms with America’s finest. Which is, in more ways than one, highly appropriate. This is, after all, the Asian century, no? Endowed with the biggest hits off the tee and a gossamer touch around the greens, these young ones are a delight to watch “live” or on television, mitigating the not-inconsiderable burden of sponsoring and shouldering the nation’s most visible sporting event year in, year out. For the country’s government-linked companies, the concept of “national service” has expanded to the sport realm. Sime Darby Bhd hosts the Ladies PGA golf and women’s WTA tennis. Axiata Group Bhd is a heavy supporter of badminton with the Malaysian Open. And CIMB itself also supports squash, in particular Datuk Nicol David, with whom they have a decade-long sponsorship arrangement. 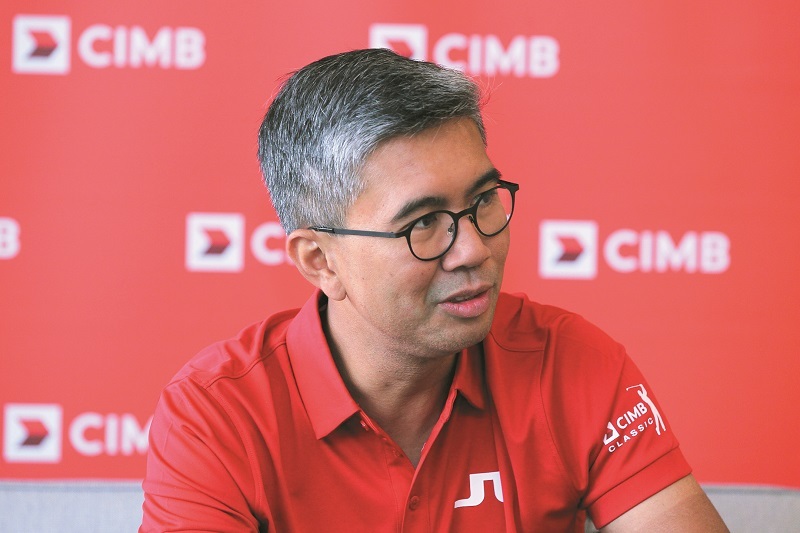 “CIMB’s mindset is to promote sport in the country,” Zafrul says. “Our belief is that through sport, a healthy lifestyle is attained and it unifies Malaysians.” Through its foundation, the bank supports, either directly or indirectly, a plethora of other games, in addition to golf and squash, including cycling, football and even blind football. “We have a long-term view of sport development in the country,” says Zafrul. This year, three Malaysians — Nicholas Fung, Gavin Green and Danny Cheah — have made the cut for the CIMB Classic. It will be interesting to see how the trio fare on home ground against the PGA players. But Zafrul’s pick for the winner is once again Thomas. “He’s the in-form player,” smiles Zafrul. If the sport-mad CEO of CIMB is proved right, that would make it an unprecedented trio of wins for the 24-year-old defending champion from Louisville, Kentucky, the US.